Great news for Amazon Prime members! Amazon has announced Amazon Family diaper discounts are now available on voice shopping with Alexa enabled devices like Echo, Echo Dot, Amazon Tap and Fire TV. Now, new parents who are Amazon Prime members and use the Alexa voice assistant can ask Alexa to order diapers at a 20% discount whenever they are running low. It’s as simple as saying – “Alexa, I need size 3 diapers.” Ordering again? No problem, Alexa will know and automatically order the same diapers. Just say “Alexa, buy diapers” and she’ll take care of the rest, discount and all! Whether you’re looking to play a lullaby for your little one or a simple day-to-day task like setting up a timer for your next feeding, Alexa makes life easier for busy parents. The addition of diaper ordering via Alexa is another way to help make parenthood a little less chaotic – saving time and money. To learn more visit Amazon or try ordering diapers today by asking Alexa on your Echo, Echo Dot, Amazon Tap, or Fire TV. 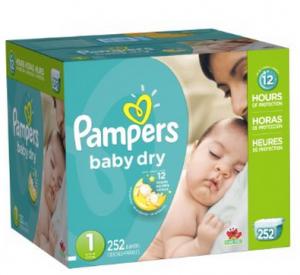 Pampers Baby Dry Diapers $0.12 Each in Economy Pack! Here’s a new $5 off TWO Boxes of Pampers Diapers Amazon eCoupon that makes for a great deal on Pampers Baby Dry Diapers when you buy through Amazon’s Subscribe & Save program. This eCoupon is valid on select Pampers products (you’ll find them listed below the coupon on the Amazon page). Here’s one deal idea that scores you 252 diapers for a low $0.12 each! $31.78 each wyb 2 after coupon and discount! Set up a Pampers Subscribe & Save order for one pack of qualifying diapers. Verify that your order will ship between 5/28/15 and 6/25/15. The 30% promotional discount and Amazon Mom’s standard 20% discount on diapers with Subscribe & Save will be automatically applied to your purchase during checkout for the first delivery. You will continue to receive Amazon Mom’s 20% discount on diapers with Subscribe & Save on subsequent deliveries. The promotional discount does not apply to existing subscriptions. If you don’t wish to use the 30% promotional discount on a diapers subscription, you can still redeem the 30% promotional discount without the additional 20% Amazon Mom and Subscribe & Save discount. Just add one pack of qualifying diapers to your shopping cart and the 30% discount will be automatically applied during checkout for purchases made between 5/28/15 and 6/25/15. The promotional discount does not apply to orders placed with 1-Click. Add an Amazon $15 Gift Card to your cart before you shop for your Pampers. You’ll be credited this amount when you checkout. Choose the select Pampers Diapers – and remember to clip the $3 Amazon eCoupon (located below the product description). Proceed to checkout and use promo code PAMPERS15 to get your $15 Amazon Gift Card for FREE. Right now NEW Amazon Moms can enjoy 50% off your qualifying diaper, formula and Babyganics product purchase! Just choose your item from each offer and add to your shopping cart, and the discount will be applied automatically at checkout! This discount applies to purchases made between 10/22 and 12/3 only. Amazon Mom is a membership program aimed at helping parents and caretakers in the prenatal through toddler years use Amazon to find and save on all the products their families need. 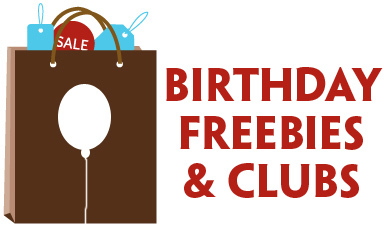 Benefits include 20% off diapers with Subscribe & Save, a 15% baby registry completion discount, FREE Two-Day Shipping on millions of items with Amazon Prime, as well as exclusive deals for members. Pick what you can use or choose some that you know you can pass on to a friend, or family member. Your 50% off savings will be applied automatically. 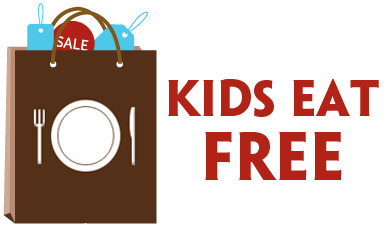 Enjoy your great deals on baby products!